Marvel Studios superhero movie ‘Black Panther’ broke records over the 3-day weekend delivering the fifth largest domestic opening weekend of all time. According to Box Office Mojo, Marvel’s first black superhero movie broke the record for the largest President’s Day opening weekend of all time. “Black Panther” dominated the three-day weekend with an estimated $192 million and is currently expected to finish around $218 million for the domestic (U.S.) four-day holiday weekend. The film broke records for the largest February opening of all-time, the largest President’s Day weekend opening of all-time and is the eighteenth release in the franchise and the ninth to open with over $100 million. 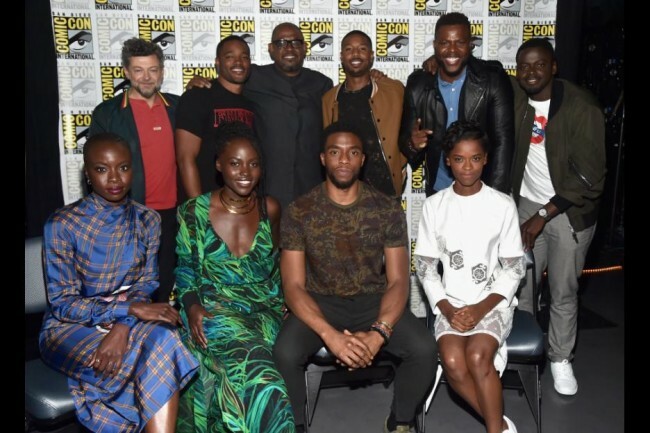 Black Panther is also the second largest opening in the MCU, behind only The Avengers ($207.4M) and topping the $191 million debut for Avengers: Age of Ultron.